You are here: Home / * PRESS / Software / The Latest Version of SuperSurv 3.3 Is Released! Developed by Supergeo Product Team, SuperSurv is a mobile GIS app that supports both iOS and Android operating system and is designed for collecting spatial data for various field works, including utility inspection, forestry, land management, archaeological research, etc. 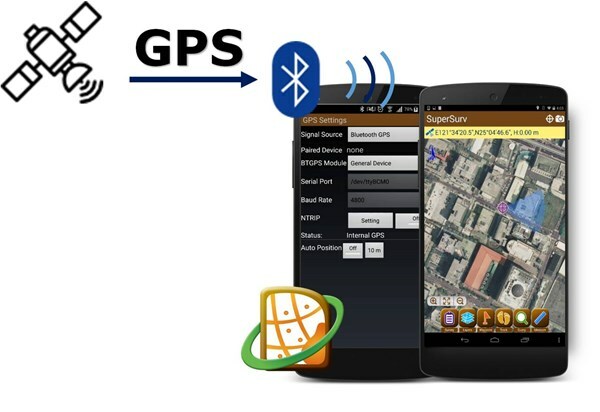 Other than general GIS capabilities, SuperSurv for Android offers additional advantages to field workers, such as NTRIP high-precision positioning and WMS & WMTS integration. In this updated version of SuperSurv 3.3, Supergeo has improved several features to offer users a smoother experience. First, more coordinate systems were added to serve more users, especially the Pulkovo systems for Eastern Europe. Second, the formats that waypoints are displayed and exported are unified to let the manipulation more intuitive. Also, the function for using blue tooth GPS devices, the support for using JP2 as basemaps, and the feature for snapping in a single layer are all improved. Last but not least, SuperSurv now speaks Lithuanian too! Since localization can significantly enhance the efficiency at work, Supergeo is looking forward to providing more languages for users from different countries. Excepting SuperSurv, Supergeo also develops various products to meet diverse GIS needs, including SuperPad, SuperGIS Desktop, SuperGIS Server, etc. On Nov. 23, Supergeo will host a free webinar, which the topic will focus on how users can utilize SuperPad and SuperGIS Server to help utility management. Please feel free to register! Download the latest SuperSurv on Google Play or Supergeo website.